Ground chicken, simple seasonings, and a few sauces come together to make these copycat PF Chang's Chicken Lettuce Wraps in a matter of minutes! Now you can enjoy this restaurant dish in the comfort of your own home. Have you ever tried the Chicken Lettuce Wraps at PF Chang’s? They are one of my favorite dishes that I love to get when we go out to eat. This recipe is an awesome copycat recipe that you can make at home in a matter of minutes. 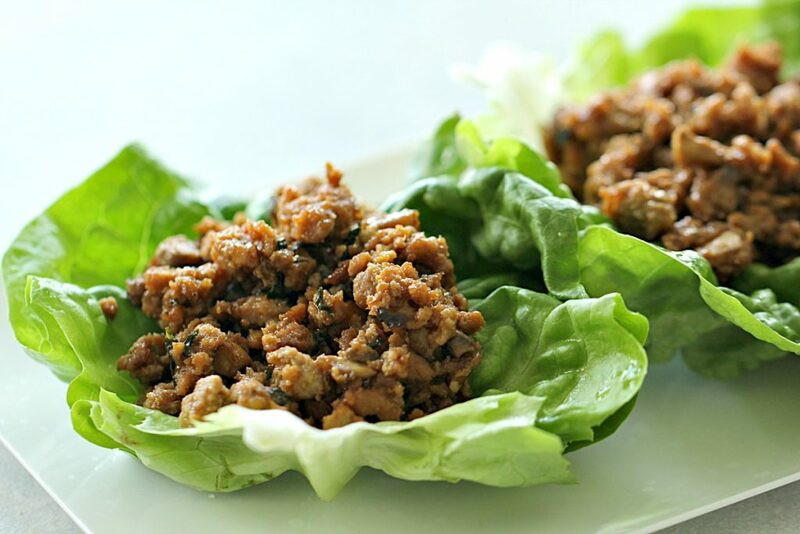 These Chicken Lettuce Wraps are low in carbs and high in protein, making them a delicious and healthy choice for lunch or dinner; they would also make a delicious appetizer. The list of ingredients might seem long, but they are simple ingredients that you probably have on hand. I shared some of my favorite substitutions below. Do I have to use fresh ginger? I will be honest – fresh ginger is so intimidating to me! For this recipe, it calls for just a “dash” of fresh ginger – just enough to add a little kick of flavor that makes for an authentic Asian taste and to add depth of flavor to the dish. If you don’t have fresh ginger on hand, you can had a dash of ground ginger. Be careful to not overdo it – 1/4 teaspoon of ground ginger is equal to 1 Tablespoon of fresh ginger (ground ginger is WAY more potent and powerful in food). You could also leave the ginger out of this dish. If you do have fresh ginger available, click here to see how to grate it for this recipe. What kind of lettuce should you use for lettuce wraps? 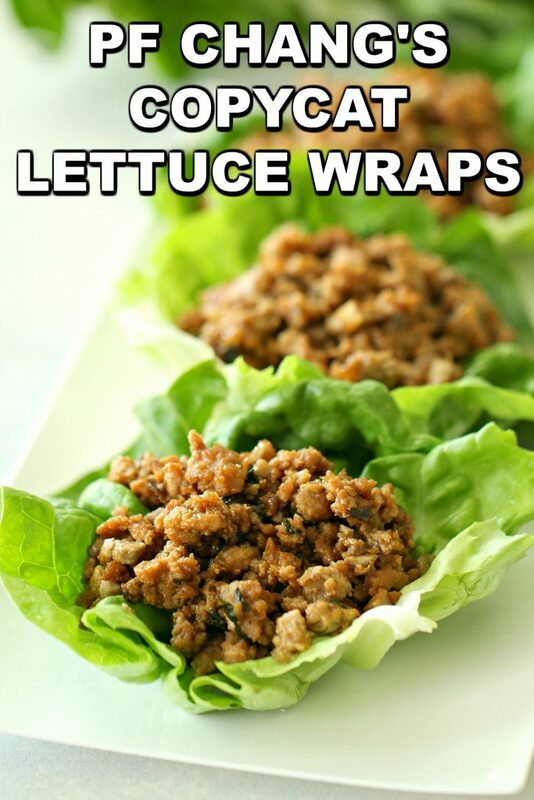 When I make lettuce wraps, I prefer to use butter lettuce because the leaves are soft and easier to “wrap” around the meat. They are also the perfect size for holding in your hand. However, a lot of people love iceberg lettuce because it is so crisp and adds a nice texture. It is also a little harder to roll. 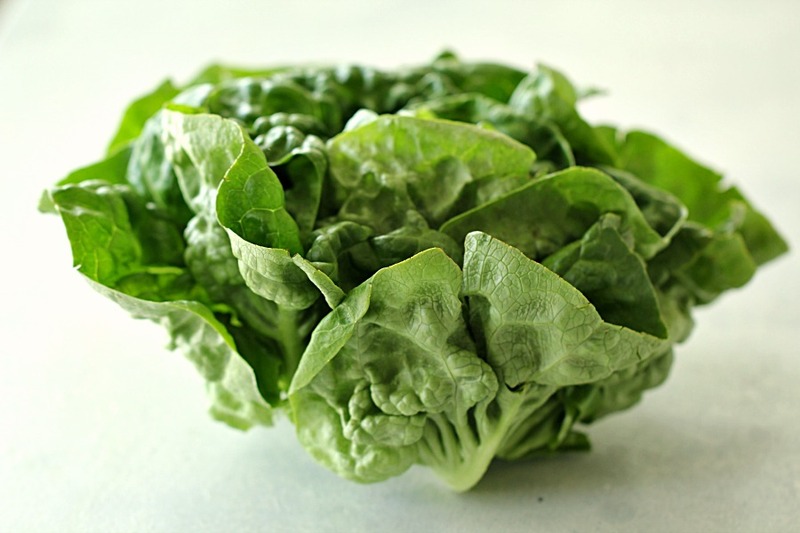 Boston lettuce is also a great choice that many people love. Click here to watch and see how to cut lettuce into “cups” so that it’s the perfect shape for lettuce wraps. 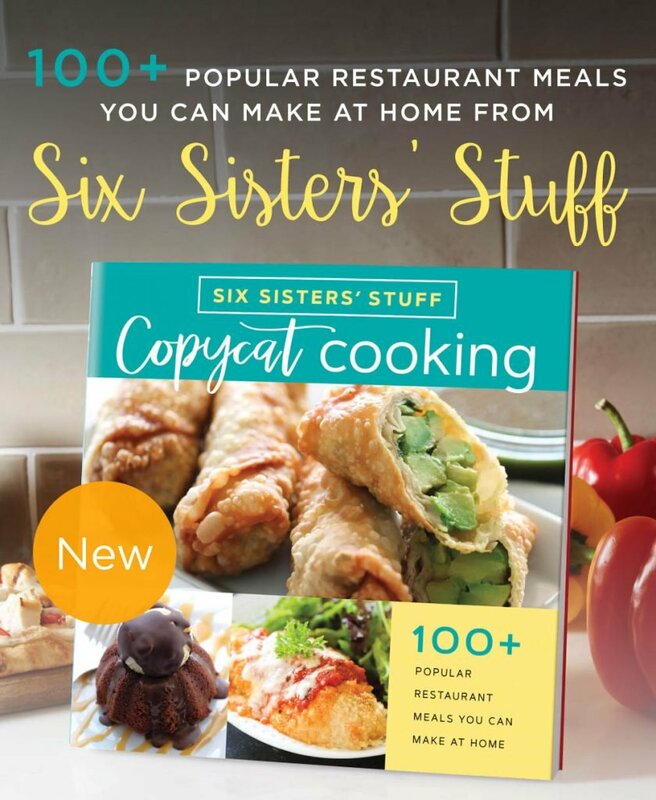 If you love copycat recipes . 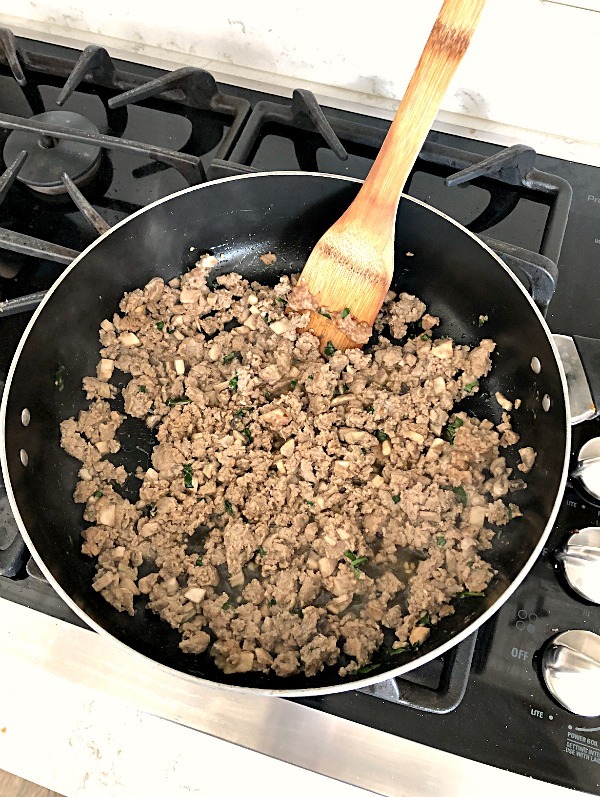 . .
Cook ground chicken in a pan until fully cooked all the way through. Add the olive oil, soy sauce, teriyaki sauce, rice wine vinegar, mushrooms, onion, green onion, water chestnuts, ginger, garlic, salt and pepper, and garlic salt until the onions begin to go clear. Continue stirring around the pan until everything is fully incorporated. Remove from heat and serve in lettuce leaves. Serve as main dish or appetizer. Watch how you can make this easy Asian dish (Beef and Broccoli) in the Instant Pot!